It might seem ballsy to only offer one version of a vehicle, because we all know that choice is the backbone of today’s high-needs society. 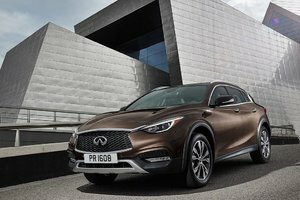 However, Infiniti’s decided to play the one-model game with the Infiniti QX50, and it’s nothing short of a brilliant plan. The compact, sporty Infiniti QX50 comes equipped with a 3.7L V6 that pushes out 325 horsepower and 267 lb-ft of torque. Coupled with an electronically controlled 7-speed automatic that also features Adaptive Shift Control as well as manual shift mode and downshift rev-matching, the QX50 is a blast to drive. Standard AWD coupled with Infiniti’s Snow Mode setting ensures all-weather confidence. Just because the Infiniti QX50 offers up approximately 527 litres of trunk space doesn’t mean this has to feel like a lumbering, large SUV. 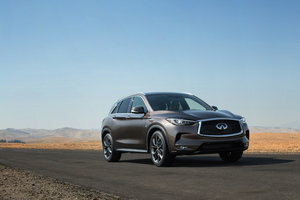 No, the 2015 Infiniti QX50 is more car-like than it is SUV-like and that’s largely due to its vehicle-speed-sensitive power steering and independent double-wishbone with coil springs over shock absorbers along with a stabilizer bar up front, as well as independent, multi-link with coil springs over shock absorbers and a stabilizer bar in the rear. All those components work together to ensure the 2015 QX50 handles and drives like a car, offering a dynamic, sporty experience behind the wheel. 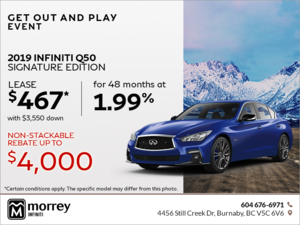 Inside, the single 2015 Infiniti QX50 features all the necessary amenities and technological bits and bobs, including heated front seats, leather, an optional Bose 11-speaker premium audio system, USB connectivity, 7” colour information display screen, standard rearview monitor, keyless entry and start/stop functionality, optional Around View Monitor with front and rear sonar system for parking, as well as optional Distance Control Assist and Intelligent Cruise Control. 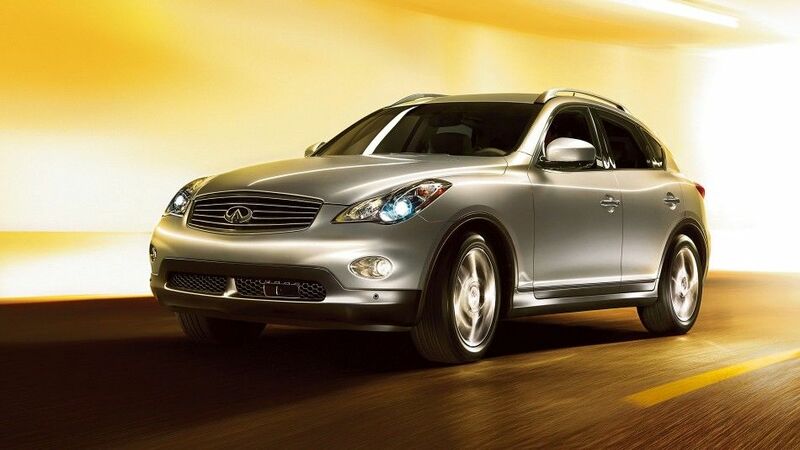 The 2015 Infiniti QX50 really is the ideal blend of CUV practicality and sporty driving dynamics. 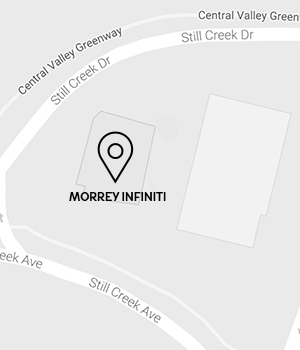 To find out more about the compact crossover, head down to Morrey Infiniti today and book yourself a test drive.